“I haven't really touched it yet. I may have done a couple 60ms in practice, and some starts, that's considered speed-work, but I haven't really turned my body on. I've been doing 400m and longer distances." - Tyson Gay in his post-race interview after what was undoubtedly the performance of the weekend. A season-opening, wind-legal 19.58 at Reebok that leaves him behind only Michael Johnson and Usain Bolt on the all-time performance list at 200m. Wejo, quit putting sprint results on the main page. We just don't care. Hengelo Meet Sizzles *LRC Recap *LRC Thread *Hengelo Results There were some unexpected results in Hengelo including Kenenisa Bekele dropping out of the 1500, and some super performances including another impressive win by the man to the left (Abubaker Kaki) and a sub-4:00 run by Gelete Burka. Americans Reese Hoffa and Dwight Phillips had tight contests with international stars Thomasz Majewski and Irving Saladino plus all 3 steeplechase medal winners from Beijing squared off. 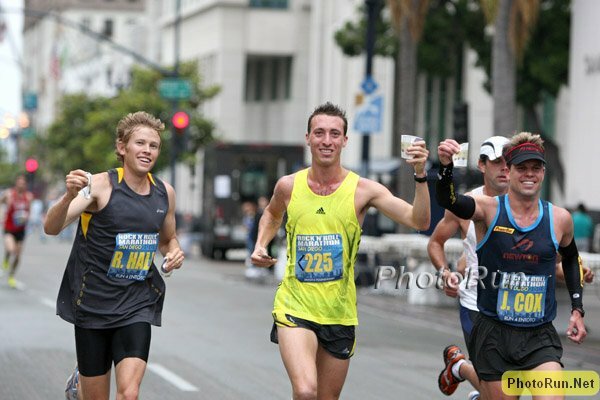 Find out more in our recap including who became the first man under 13:00 in 2009 (you will be surprised). 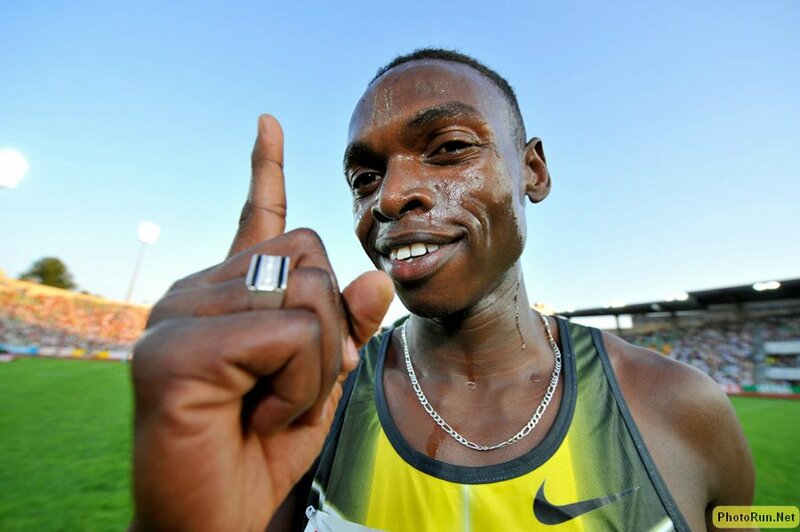 *Churandy Martina Breaks 10,00 For The First Time This is the guy who Shawn Crawford gave his Olympic medal to after he (Martina) was dq'd for running out of his lane to the outside. *Canada's Lopes-Schliep Third, Bekele Drops Out Their is a brief mention of Bekele appearing injured but we haven't heard anything more on that yet. 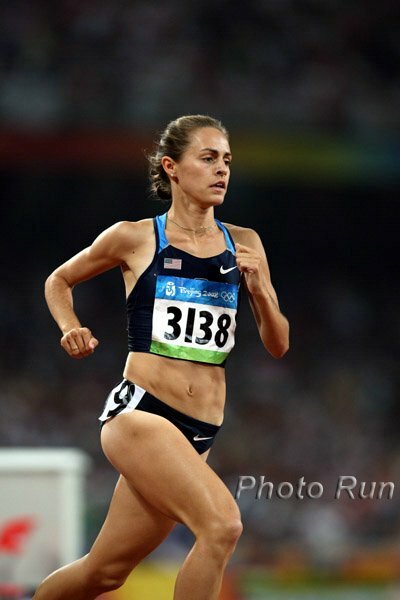 *Athletics Weekly Gives British Rundown From Hengelo Their mid-d women, led by 2008 NCAA champion Hannah England were great. 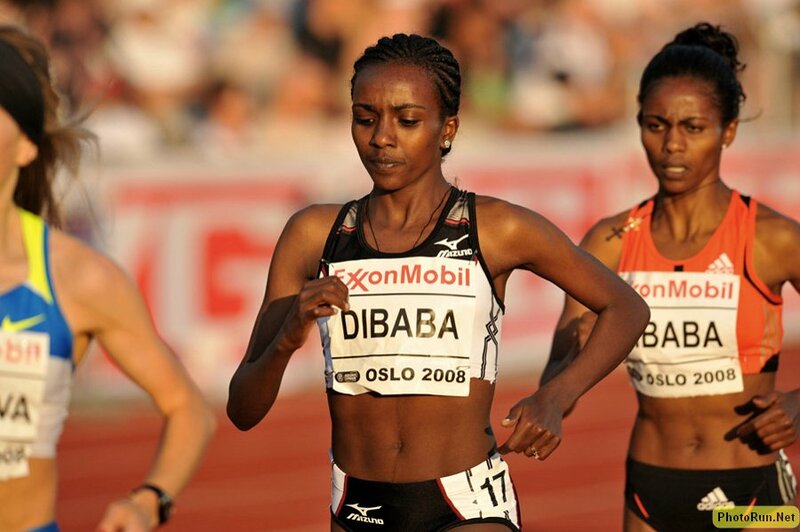 Not a good weekend for Ethiopia's Mega-stars: Kenenisa Bekele drops out of a 1500m in Hengelo and world-record holder Tirunesh Dibaba looked flat as Kenya's Linet Masai beat her by 5 seconds in New York. Also Haile Gebrselassie fell short of re-setting his 1-hour world record. 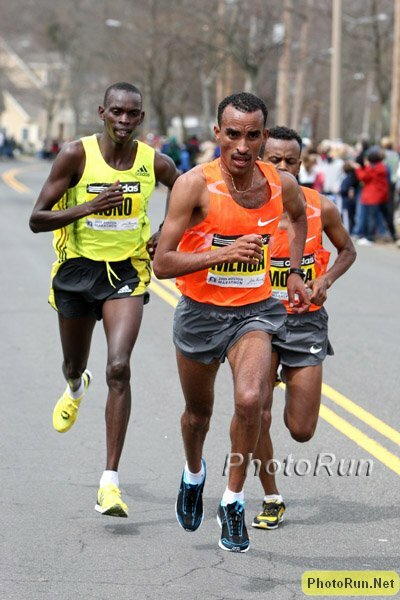 But hold on, Ethiopia has much to celebrate including Ali Abdosh, who became the first man to crack 13:00 for 5k this year, Gelete Burka who ran 3:58 for a big 1500m win also in Hengelo and, of course, perhaps the runner of the year so far, Deribe Merga, who won again on the roads in a 10k in India. After linking to several articles quoting Samuel Wanjiru saying he won't run the world championships but instead is focusing on Haile G's world record in Berlin on September 20, we at LetsRun.com have been alerted to a quote from Wanjiru's agent Federico Rosa who is quoted in various foreign language articles saying, "It is true that he will not run the marathon at the World Cup, but I can not confirm yet that it will be in the Berlin Marathon." Rosa goes on to say that Wanjiru is considering mainly Chicago (super fast) or New York as alternatives to facing Haile in Berlin. To the left is a picture of NYC Marathon and NYRR head Mary Wittenberg courting meeting with Wanjiru after his London win earlier this year. *Coach Dieter Hogan Interviewed An experienced coach of many elite athletes, Hogan comments on what the differences are between African and European runners. *Joe Battaglia Rates The Performances At Reebok Quick summary in case you don't have time to click the link: Tyson Gay ran well, Alan Webb did not. Tell Us What You're Doing on National Running Day. If you're in the DFW area, join Wejo at 6:30pm at Fort Worth Running Company on Camp Bowie. If you're in Boston, you can run with Bill Rodgers.